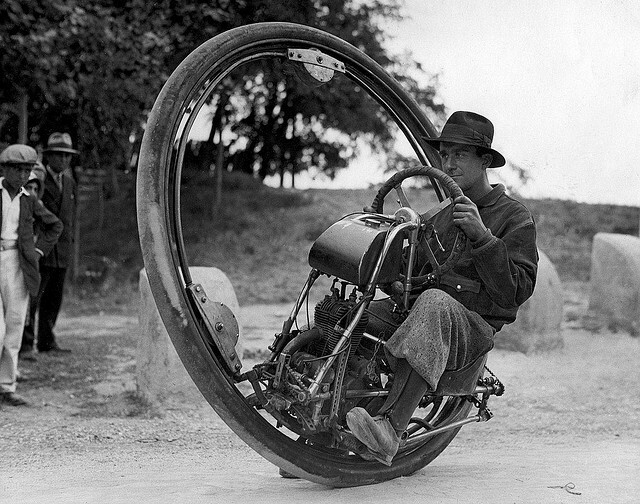 The image above shows a one-wheel motorcycle, invented in Germany in 1925. It’s one of history’s strangest inventions. For 26 other strange inventions, look in the Other section below.